Another big success for 14th Annual McDaniel Tennis Tournament! The 14th McDaniel’s Tennis Tournament played from Thursday, March 6th through Saturday 10th was an excellent source of friendly competition in the name of a wonderful cause. 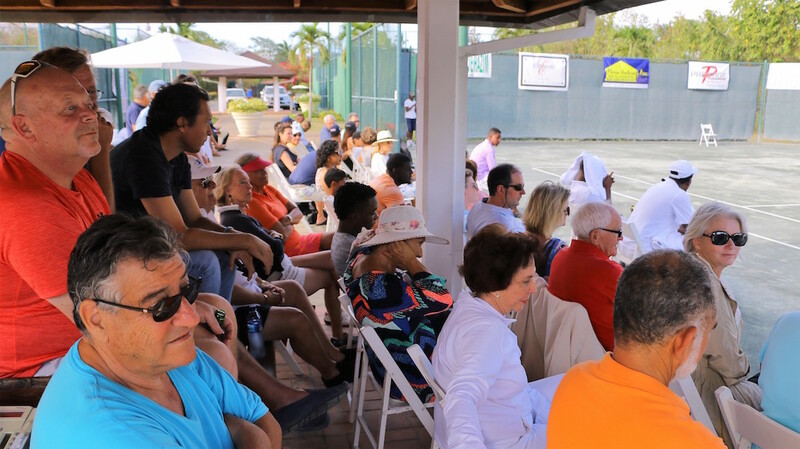 Many from the Casa de Campo community came out to support the McDaniel Family Foundation’s initiatives and see the close matches between players of La Romana Country Club and La Terraza Tennis Club. The McDaniel Family Foundation, celebrating its 14th anniversary this year, has sought to sponsor the education of Casa de Campo’s ball boys, and through their annual fundraising tournament have, year after year, succeeded in assisting a growing number of boys (and even a few girls). 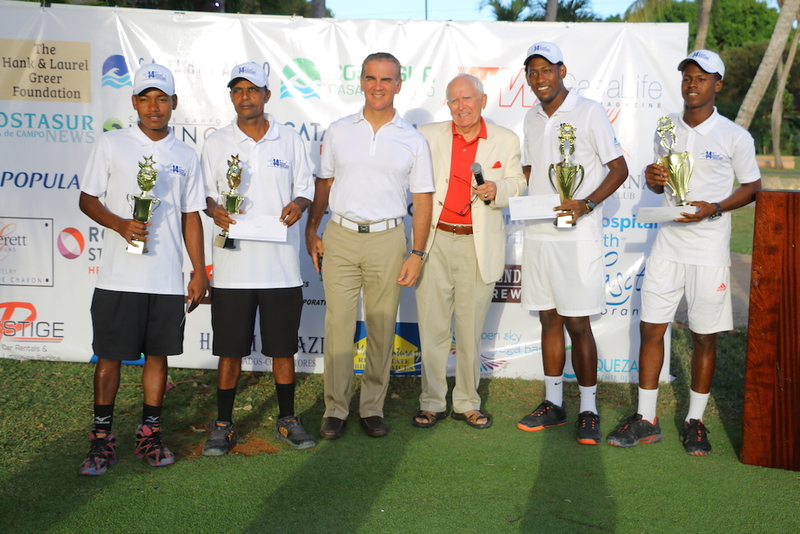 The doubles format, with a pre-arranged draw that included 22 players from La Terraza and La Romana Country Club, is a favorite for players and spectators and provides more opportunities to catch exciting games on the courts. During the finals sports fans sat on the sidelines with a perfect view of the main court, where Edwin Guerrero, undoubtedly the crowd favorite, and his partner Winter Jones stood out and earned the title as champions of this year’s tournament (second in a row for Edwin). 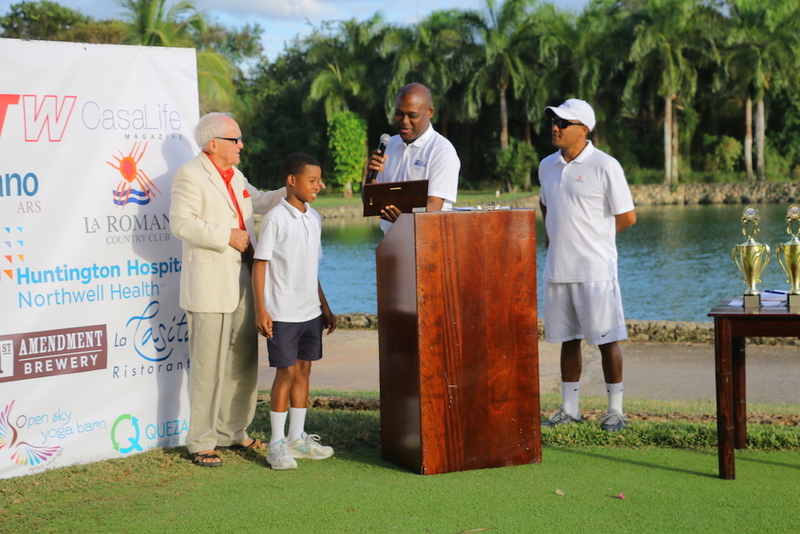 The awards ceremony followed the tournament, bringing the sponsors, players, ball boys, and their families together at the La Romana Country Club. Every single participant of the tournament (winners or not) was awarded prize-money. Rick McDaniel thanked everyone once again for their continued support throughout the years and shared with everybody that the foundation will be able to continue providing Player’s Health Insurance, all the Ball Boy’s Scholarships, the Player’s Prize Money, and two College Scholarships! During the ceremony, Mr. McDaniel presented Johnny Fanjul, with this year’s honorary chairman plaque thanking him for all his help and loyal support throughout the years. Mr. McDaniel also presented for the first time special plaques for outstanding sportsmanship to ball boy Raymundo Valdez who thanked everybody in English and player Santos de Salas. Congratulations to the winners and all the players, sponsors, and supporters for another successful and wonderful McDaniel Tennis Tournament 2019! Remember, it’s never too late to donate! See the sponsorship options below. 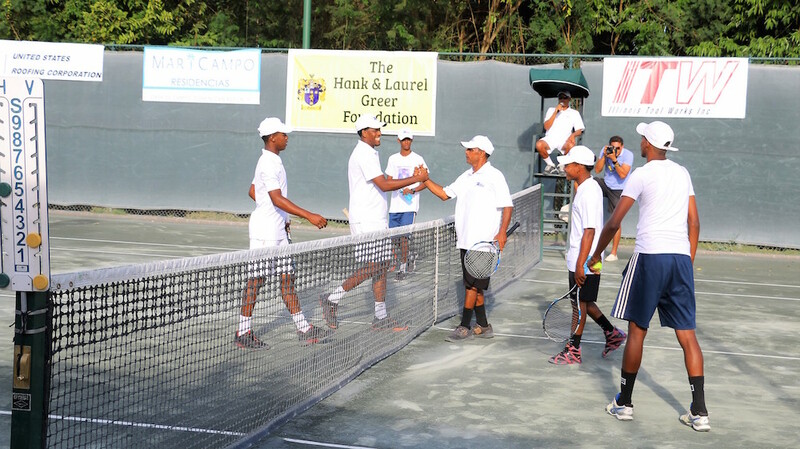 The McDaniel Tennis Committee, of which Casa de Campo Living and SILGON is part, is once again hoping to raise more funds to continue increasing the number of ball boys educated under the Ball Boy’s Scholarship Foundation. So if YOU want to help support this cause, individual sponsors are very welcome, with suggested donations between US$150 up to US$5,000. There is also a “Corporate Sponsorship” option. See below for the different sponsorship options, or contact Rick McDaniel at [email protected] / (809) 951-1523, or anyone at the McDaniel Tennis Committee.